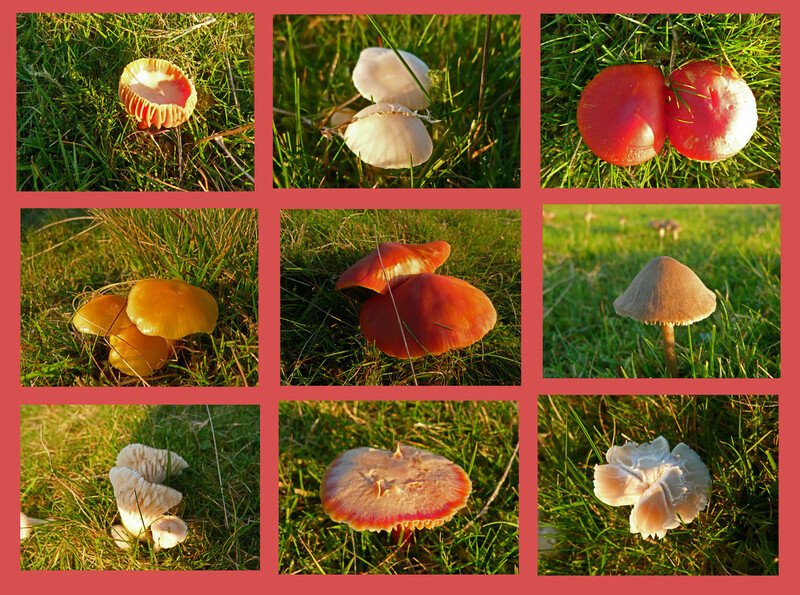 A wonder on the fell revealed lots of little fungi, some as small as a button, but what a lovely variety of colours. Such a fantastic collection and beautifully put together in this collage. Can't get over all the colours and shapes. Instant fav. Great collage and so colourful. Super collage. When in Germany recently we went geo-caching in a small corner of a wood and I was amazed at the variety of fungi. I would love to have photographed it but it was the first time I had decided to abandon my camera! Wow what fabulous finds!! Great collage!! This is lovely, what a variety and good shots of them all. I like the colour of the frame. Wonderful collection of images and lovely collage. Great collage! You know I love fungi! LOL! Well presented in this collage. love all the shapes and the beautiful colours. fav. Great finds, a nice, colourful collage! @flowerfairyann @elmay @callymazoo @terryliv @hermann @elisasaeter @gijsje @pamknowler @sueb47 @tonydebont @memoriesbydawn @deborah63 @tunia @bruni @tosee @claireuk @kimdavis @lavenderhouse @roachling Thank you all for your lovely comments and fav's. Thrilled to get to the TP and PP. Malcolm, I'm not sure they are all different types, I think some are the same just at different stages. I don't know a lot about fungi.